Delicious wild Mexican white shrimp cooked to order, peeled, deveined and chilled. Served with lemon wedges and Santa Monica Seafood’s original cocktail sauce. Small size displayed. 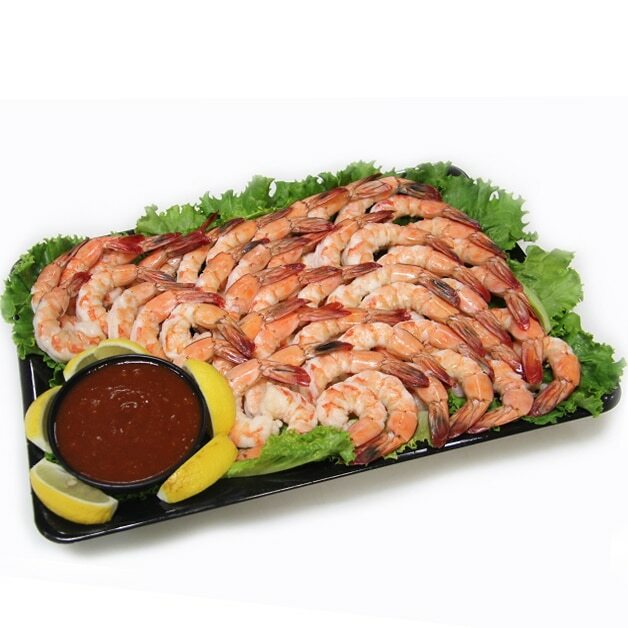 Serving size is approximately 3 shrimp per person. Select Pickup Time * - Select -9:00 9:30 10:00 10:30 11:00 11:30 12:00 12:30 1:00 1:30 2:00 2:30 3:00 3:30 4:00 4:30 5:00 5:30 6:00 6:30 7:00 7:30 8:00 Please select a time to pick up your order. Select Pickup Date * Earliest pick up date is 2 days ahead and latest pick up date allowed is 25 days ahead. © Santa Monica Seafood. All Rights Reserved.